The National Trust is offering guided walks through Ranelagh Estate during the Trust’s Australian Heritage Festival. The walks will take place on the Saturday afternoons of 4 May and 11 May. For details and bookings contact the Trust. 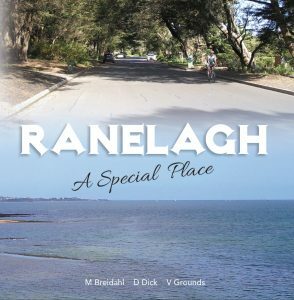 HERITAGE AWARD 2017 awarded to each of the 3 authors by Mornington Peninsula Shire and National Trust, “for co-research and publication of ‘RANELAGH – A Special Place’, a record of the heritage significance of the Ranelagh Estate Mt Eliza”. COMMENDATION in the Victorian Community History Awards 2017, History Publication Award category. “This award recognises outstanding publications on Victorian history. Commendation awarded to RANELAGH – A Special Place”.